Supposedly there are many ways to skin a cat, but we’re not familiar with any of them. 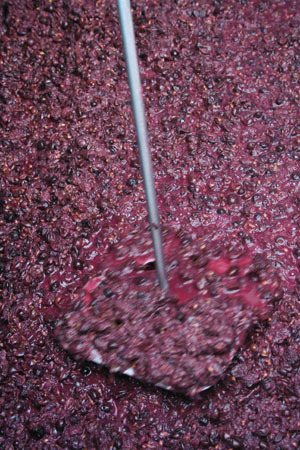 Luckily for winemakers, Bob Peak knows many ways to crush a grape, and is willing to explain. Don’t want to fork over the money it costs to buy a destemmer-crusher? Good with your hands? Try building this! You can never be too prepared in your winery when the grapes come in from harvest. Follow our guidelines for crush and press success. Plans to build your own grape crusher.